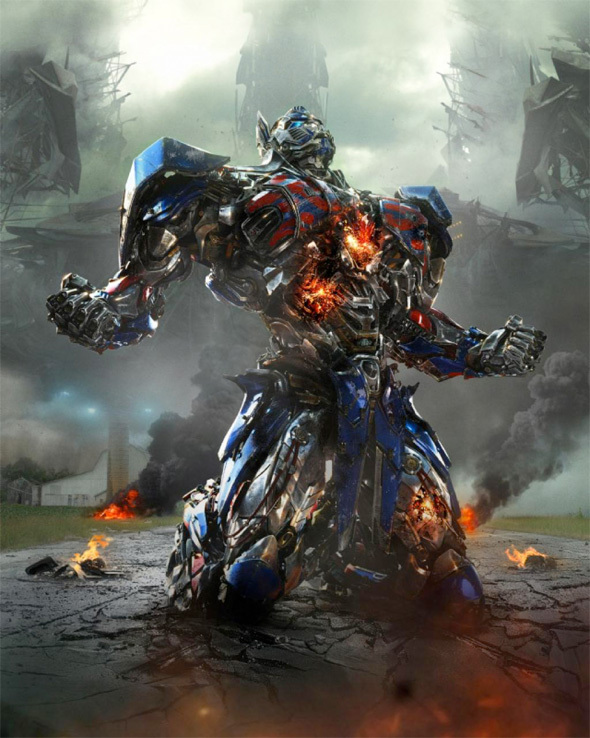 There will be a new trailer for Transformers: Age of Extinction arriving at 12am Pacific time on May 15th this week, and in anticipation of seeing even more of Michael Bay's last cinematic outing with the transforming robots, a new poster has arrived along with some new photos. 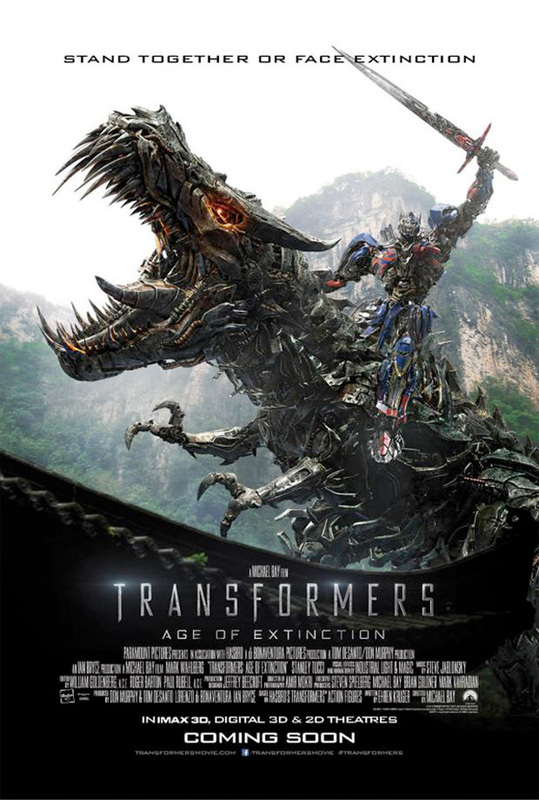 The poster features Optimus Prime riding Grimlock, which we've seen in the trailer for the franchise sequel and pseudo-reboot. 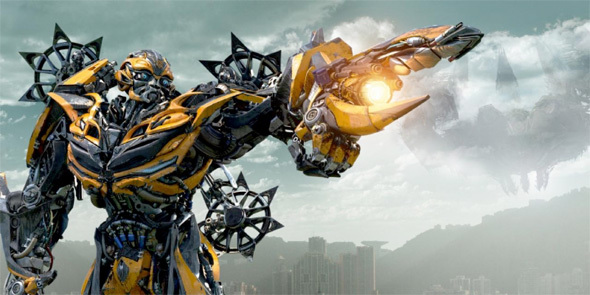 Meanwhile, the new photos seem to be unused concepts for posters (notice the space for title text and credits) that show off some of the new weapons that Optimus and Bumblebee are equipped with this time. that has to be the stupidest poster I have ever seen. It looks like something someone made as a joke. MY word do they look like plastic to anyone else? Optimus prime is riding a dinobot T. rex. My argument has never been so invalid. I... don't like this (or these, for that matter). I'm so glad the character designs aren't needlessly busy incoherent disasters with no visual focus. 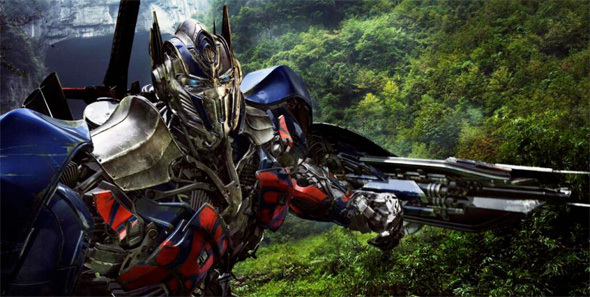 As someone who actually doesn't hate Transformers as most other people on the internet, I have to say that everything I've seen so far for this, is looking pretty uninspired. Bay needs to find a new franchise. He's producing that. Not directing it. Somewhere along the line you have all lost your inner child. Optimus riding Grimlock is simply awesome. Grimlock would beat the **** out of Prime if he tried that (and/or the other dinobots would have conniption fits of uncontrollable laughter). I wouldn't exactly say I "lost" my inner child, I'd say Bay sold it to the highest bidder. I think Grimlock needs at least one more tooth! WTF is it with Bay and "anatomically correct," robots? They don't need lips, tongues, or in the case of the second movie, testes. 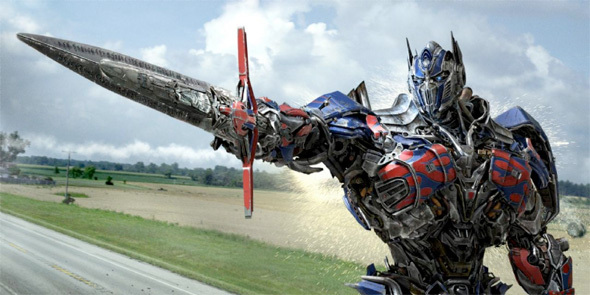 The transformer films have been increasingly forgettable and was disappointed that Bay came back. Hoped that another director could take a shot at it. I'm concerned about the handling of Grimlock. I'll bet they don't even show him in robot form. He'd be enormous.